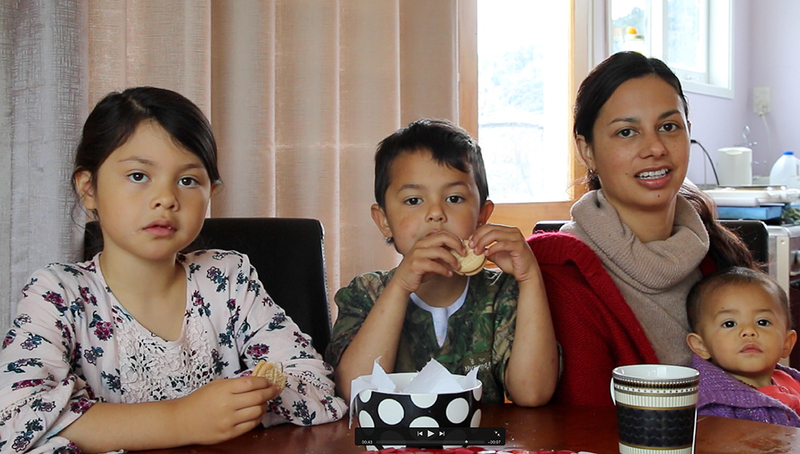 Lainie Asher (Hāmua) is a young mother passionate about holistic health and the wellbeing of the whānau. Lainie regularly facilitates workshops where she teaches pēpī mirimiri techniques to parents. Image L-R: Rama-te-awhina Apiata, Poutu-te-rangi Apiata, Lainie Asher, Hiriwa Apiata. Revitilising traditional Tūhoe practises is a priority for her local Tūhoe Tribal Authority – Te Komiti o Runa. Thats so cool Lanie, awesome!